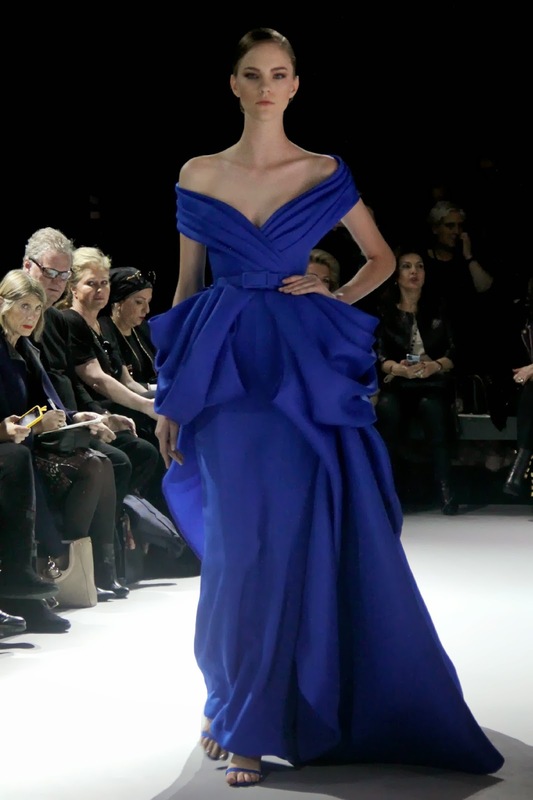 Ralph and Russo put people in tears with the beauty of their haute couture debut in Espace Vendôme, Paris. Including me. Srsly teary eyes. "I have never seen anything like it. 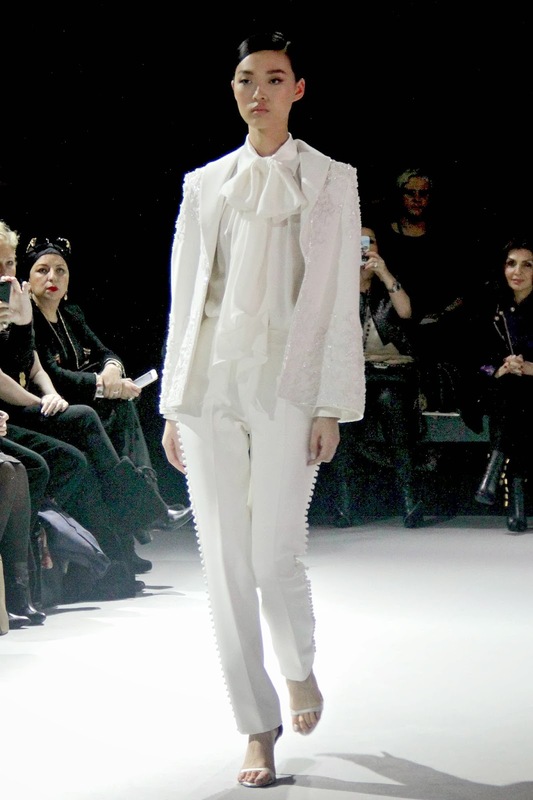 It's so beautiful", said one couture client after the show while we´re queuing for backstage. One added, "It´s like a dream I don´t want to wake up from", and seeing her with teary eyes, I could tell she genuinely meant it. Maybe because it is genuine. The collection is so beautiful even I couldn´t help but got my eyes wet as well. The silhouette was glamorous yet not too trendy. It´s elegant without too flashy. Embelishments were placed so precisely that it´s just in a perfect amount. Nothing too much. But nothing was too less either. Tamara Ralph and Michael Russo showed how haute couture is supposed to be done. Personally, this collection was the one I anticipated the most, since it´s the return of British couture house in a century. British designer in couture field is not something new, with John Galliano and Alexander McQueen helming two of most prominent French couture houses few years aback, and yet, this designer duo has proven one more time, that British in Paris is something to beware of, something to top. Glorifying the good old time of fashion in 1940s and 50s, the beauty that once was outsandinly capture by the lenses of photography gurus at that time, the likes of Walde Huth, Henry Clarke, Irving Penn, Willy Maywald and Lillian Bassman, it started with a cordon of white looks. The collection got it´s middle show applause on the mere third look. Carefully crafted short sleeved peplum dress paired with pencil skirt in perfect proportion, voluminious ball with clasic silhouette, floral corsage blossoming as shoulder pads, jardin à la française embellishments, Chantily lace and silk crêpe in rose pink and salmon, the whole thing was created and placed magically like a perfect bouquet. Carrying the romanticism and sophistication combined with the strenght and comeliness, every piece was skilfully executed. With 1600 hours of time were dedicated to put 800.000 pieces of embellishment for one particular number, this beauty has its own class of quality. Brilliantly putting the colours of red, blue, and white (does it ring a bell? Yep, utterly famous Union Jack), this collection is an epitome of luxury. As a finale of the shows in five-day couture week, they reminded people of the couture compandium, of what modern haute couture stands for. Fantasy in a sensible way. Charles Frederick Worth would be bursting with pride.